Can the former Texas Senate candidate's popularity translate into a successful presidential campaign? 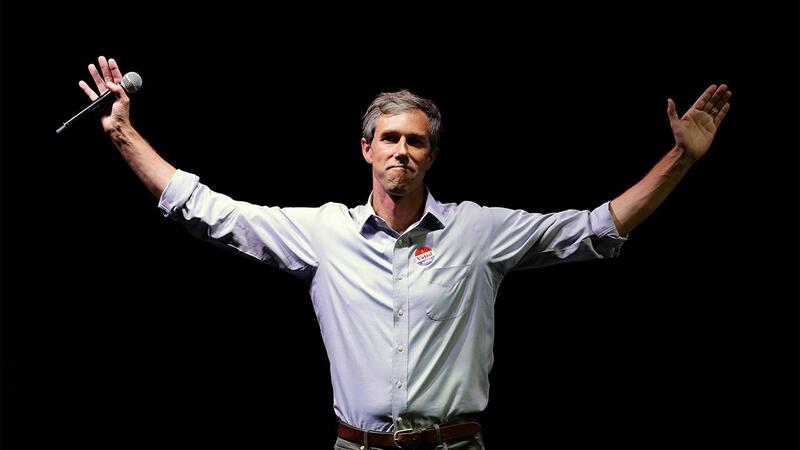 Although he lost his race against Sen. Ted Cruz, R-Texas, in November, the three-term congressman – who will be out of office in just a few days – is generating buzz as a contender for the Democratic presidential nomination in 2020. Former President Obama even met with O’Rourke recently – a sure sign that despite his loss to Cruz in Texas, O’Rourke is being taken seriously in the crowded field of Democrats considering running to replace President Trump. Advisers to the former Vice President Joe Biden reportedly view O’Rourke as a threat to Biden’s own ambitions to become the Democratic nominee for president in 2020. In a Des Moines Register poll, O’Rourke finished in the top three among likely caucus goers in Iowa. Multiple straw polls from influential progressive advocacy groups show the same result. Why is there all this excitement about an outgoing congressman with a light legislative record who just lost a bruising Senate bid last month? For one thing, O’Rourke came closer than anyone expected in his race against Cruz, falling only two points short in a state that last elected a Democratic senator 30 years ago. The Lone Star State’s demographics and politics are changing, but it remains a Republican stronghold. For another, O’Rourke raised an eye-popping $80 million – more than any other Senate candidate in history. That fundraising prowess makes journalists and political professionals handicapping the early stages of the 2020 presidential race consider O’Rourke a viable contender. It’s not all roses for O’Rourke, however. Yes, he gave Cruz a run for his money, but “almost” only counts in horseshoes and hand grenades. Even the potent cocktail of $80 million, the political winds at his back and a sense of apathy toward Cruz couldn’t get O’Rourke over the finish line. O’Rourke may prefer his nickname “Beto” over his given name “Robert,” but that doesn’t change his ethnicity or inability to break a glass ceiling. Being at the front of the pack of potential Democratic presidential hopefuls right now only attracts scrutiny from others. Already, O’Rourke’s votes on issues such as Medicare-for-all and free college are coming under fire. The issue of energy is particularly problematic, especially in the context of the “New Green Deal” authored by incoming democratic socialist Rep.-elect Alexandria Ocasio-Cortez of New York. O’Rourke’s home state of Texas is the nation’s largest oil-producing state by a country mile. He was also the second-largest recipient of contributions from the oil and gas industry during the 2018 election cycle, trailing only his former nemesis Cruz. This inconvenient truth has not gone unnoticed by environmentalists, who went so far as to remove O’Rourke’s name from a “No Fossil Fuel Money” pledge he had signed. It makes sense that the energy industry would financially support a House member and Senate candidate from Texas, and that candidates in Texas could not afford to be hostile to an industry that provides many voters with their livelihoods. But that explanation is unlikely to fly with the left wing demanding ideological purity in their crusade against fossil fuels. Still, O’Rourke is wise to throw his name into the presidential mix before he’s yesterday’s news. The road of presidential politics is littered with candidates who waited too long. A group of activists just launched a "Draft Beto" campaign to sweeten the pot. Four years ago, they were launching “Draft Warren” movements urging Democratic Sen. Elizabeth Warren of Massachusetts to enter the presidential race as a progressive alternative to Hillary Clinton. Should O’Rourke emerge from the crowded field of Democratic presidential wannabes, he will likely have to face President Trump in the general election in November 2020. Trump’s Twitter handle and famous counterattacking skills will test O’Rourke’s “aww shucks” nice guy routine like never before. But that’s a million miles away. For now, the warm, yet choppy, primary waters are beckoning O’Rourke as he apparently readies himself for the presidential plunge.